Launch: Members of the Bishop Michael Putney Fellowship with patron Sir Angus Houston and Professor Max Bennett. TOWNSVILLE leaders have come together to officially launch the Bishop Michael Putney Fellowship. In 2014, the Tropical Brain and Mind Foundation was formed and launched locally in response to the growing statistics of mental health, mental illness and suicide rates in North Queensland. The foundation aimed to raise funds to engage research into this area, in particular some of the mental illnesses that are prevalent to communities in northern Australia. 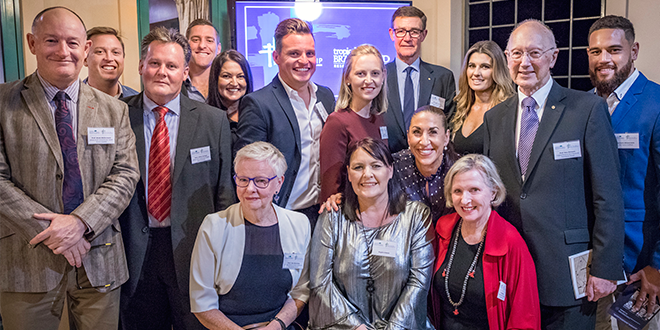 As a fledgling foundation, the opportunity to be taken on as a project under the Townsville Enterprise Emerging Leaders program was gratefully accepted in 2015. The Townsville Enterprise Emerging Leaders project group established the Bishop Michael Putney Fellowship, in memory of the late Bishop of Townsville who was on the board of the Tropical Brain and Mind Foundation. 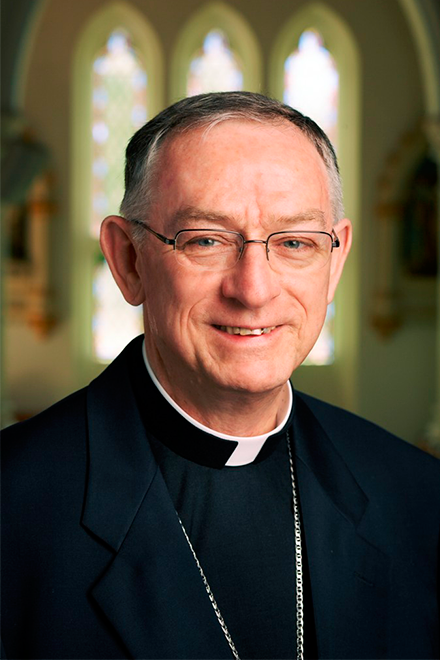 Bishop Michael Putney Fellowship chair Brent Tate said the Bishop Michael Putney Fellowship aimed to address the alarming rates of youth suicide in the region, particularly the alarming connection between youth suicide and those engaged in the sport of rugby league. “Since this time the foundation has raised funding to engage two researchers at James Cook University,” Mr Tate said. “The research will be carried out over a three-year period in Townsville, Mackay, Cairns and Rockhampton. The research will be used to develop a practical program for schools, families and sporting clubs across Australia to help in the reduction of suicide statistics. The program will also extend to representative teams and the National Rugby League, with an opportunity to expand to other sporting codes. This is the first piece of research that the fellowship has commissioned and is just the beginning of the strategy to address mental illness in northern Australia. Last month, more than 800 people walked to raise funds for the Bishop Michael Putney Fellowship as part of the Hit the Hill. “We were overwhelmed with the community support and generosity that we received over the weekend,” Mr Tate said. Townsville Catholic Education executive director Dr Cathy Day said Bishop Putney shared a love of football, in particular the North Queensland Cowboys, and it is with his family’s blessing that they continued to honour our work in his name. “Tall in stature yet gently spoken, he was humble and at the same time an inspirational leader who had a passion for young people and their wellbeing, which saw him instrumental in establishing the Tropical Brain and Mind Foundation,” Dr Day said. The fellowship needs the assistance of our community and urging help. “As a fellowship, the committee is voluntary and therefore one-hundred per cent of funding is directed to research,” Mr Tate said.